Dominate desktops, tablets & smartphones with a mobile friendly website at best price for better reach and impact. We develop custom software solutions unique to the company and the way it does business. Hosting website and emails on our dedicated web servers ensures you hassle free 24 hours availability. Sage 300 (formerly known as Sage ERP Accpac) is a powerful business management software solution that helps you streamline internal operations to help sales, marketing, finance, and operations work as a single team to keep customers happy and your business competitive. Committed to Deliver Highly Innovative, Scalable & Interactive Android and iOS Apps. Duxte offers proven network design and implementation services that drive results for your business. Did you know that QuickBooks is the biggest selling desktop and online accounting software in the world. This is because its quick to learn and quick to use, which is why it has helped to transform the way many small and medium sized companies manage their businesses successfully. 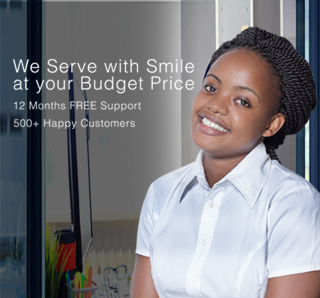 Duxte Limited is an authorised Premier Reseller of QuickBooks in Tanzania. In business for over half a decade, We have helped many companies like yours to stabilize IT budgets, increase productivity and eliminate technology headaches. Spend your time doing what you do best — and let us do the same for your business. Spend your time doing what you do best — and let us do the same for your business.